When it comes to connecting with fans, the NBA has hit on a winning strategy, moving it far ahead of other sports leagues when it comes to making use of one of their most valuable resources: their star players. The reasons for the success of the NBA are several. First, the game itself, and its televised form, encourages perceptions of a closer relationship between fans and players, because viewers have clear, unobstructed views of the players’ faces. In football, helmets keep fans from seeing players for most of the game; even in baseball, the caps can obscure their view. But in basketball, the players are easy to see at all points, whether they are grimacing after a hard foul, grinning after drilling a shot from downtown, or gasping for breath while taking a break on the bench. Second, the NBA was an early proponent of allowing video content of its games to play on YouTube. Many other leagues sought copyright protections, such that they limited access to the games for people who were not watching through conventional channels. But as viewers’ habits continue to shift, such that fewer people are willing to watch the game only when it is broadcast, that choice seemingly alienated some fans. However, they could readily find NBA highlights and huge dunks on YouTube and other video sharing sites, encouraging a new generation of fans to see what was spectacular about the sport. Third, the personalities of the players themselves seemingly lend themselves to experienced connections with fans. According to one researcher, the NBA has long marketed the players in its league, more so than other sports. With the arrival of social media, it took this tradition to a new level, encouraging each player to develop his own persona. Thus fans learn that Pau Gasol is easily excited and likes to use exclamation points in his tweets; they can follow Steph Curry to learn what his family is doing. Such personalities also can spread beyond social media, as when LeBron James stole scenes, playing a fictionalized, Cleveland-touting version of himself in the movie Trainwreck. 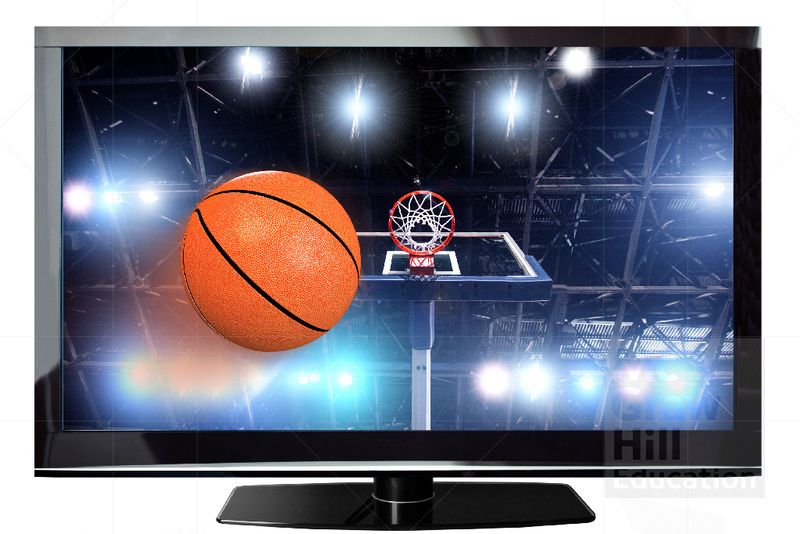 Thus, as entertainment providers struggle to attract the attention of consumers who can flip without any hesitation to the next option, the NBA has established itself as a source to watch. It gets consumers engaged and involved, and it puts its players in the center stage. Do you follow any NBA players on social media? Does doing so make you more interested in the sport?